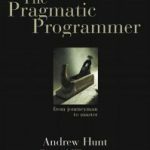 On this page you will find a list of products, services, resources and tools that I use to develop software and run my business. Some are free, some are paid. Some of the links are affiliate links which means I may receive a small commission if you purchase something through it. I will keep this list updated as I find new great products and services or change my opinion on one. Namecheap ֠Domain registrar I use to register all my domain names. They have competitive pricing, a nice UI and I like how you can protect your domains with two-factor authentication. CloudFlare ֠A free global CDN, DNS, DDoS protection and web security provider. I mainly use CloudFlare to manage all my domain names DNS records in one place. It too, has two-factor authentication. WordPress ֠The most popular blogging tool in the world. Useful for marketing sites and blogs. ASP.NET Core ֠Free and open-source web framework developed by Microsoft. A great tool for creating bespoke web applications. Visual Studio ֠A powerful IDE for developing web, desktop and mobile applications. Visual Studio Code ֠A cross-platform advanced text editor which can debug C#, PHP, Node.js etc. 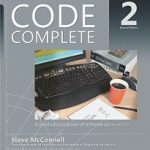 Code Complete: A Practical Handbook of Software Construction ֠A great book on important topics like designing classes, naming conventions and general best practices. 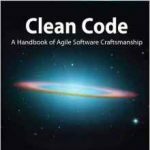 Clean Code: A Handbook of Agile Software Craftsmanship ֠Learn to create well readable and structured code (samples in Java). 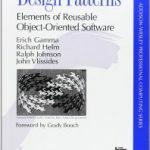 Design Patterns: Elements of Reusable Object-Oriented Software ֠Learn everything there is to know about The Gang of Four design patterns. Crunch ֠An accountancy service based in the UK that lets me use the FreeAgent online book keeping tool. UK Postbox ֠Provides mail scanning, virtual mail forwarding and parcel forwarding services in the UK. Allows me to hide my personal address from WHOIS while still allowing people to contact me. Subscribe now to receive practical tips on how to become a better software developer.